I’m in the mood for gold lately. 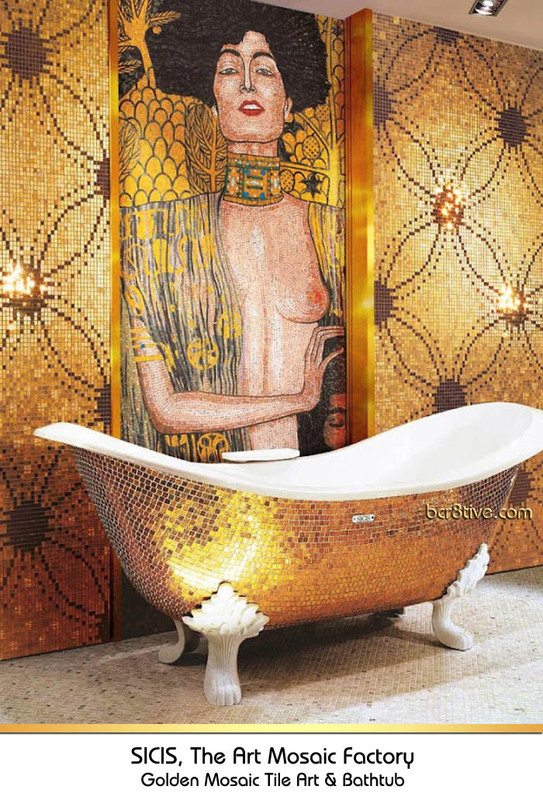 I think that it’s the holidays … but it could also be running across some gorgeous images of golden tile work from the masters of mosaic art & tile, Sicis. I love everything that they do – from their amazing mosaic collages & portraits, artistic & exquisitely tiled rooms & bathtubs, to their extraordinarily creative furniture & home decor. These first 2 images were taken by photographer “Gotham Girl” of Gotham Girl Chronicles. 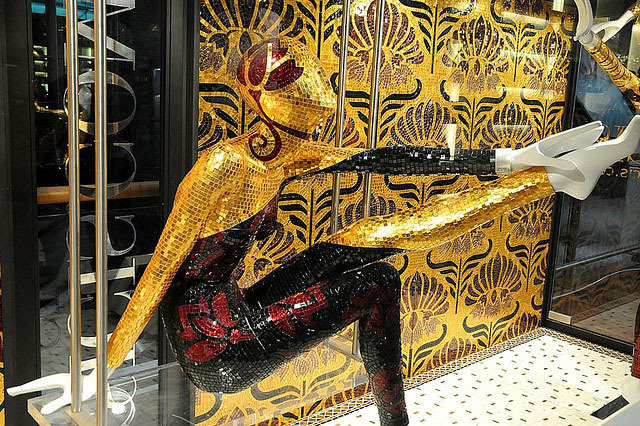 This is a Sicis The Art Factory store window display in New York. 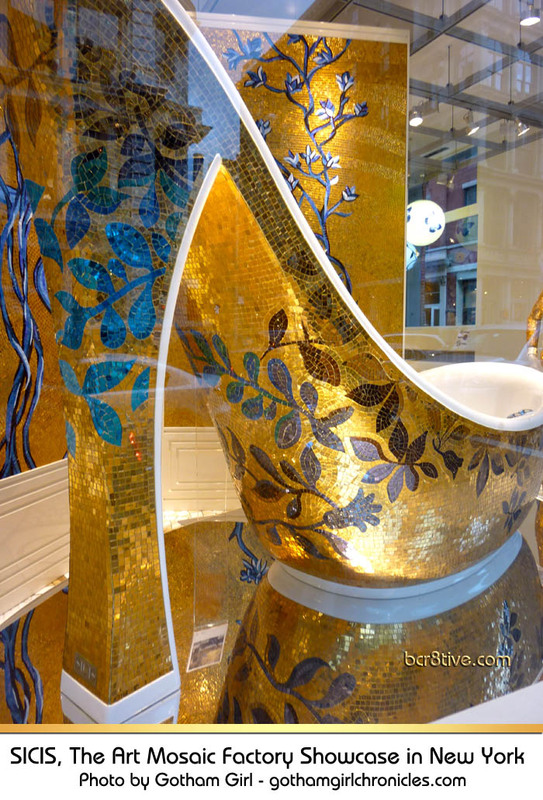 They featured one of their jaw-dropping, mosaic tiled Cinderella Bathtubs in a gold floral design, a glittering, golden floral tile backdrop & gold mosaic tiled mannequin art & sculptured lamp. Isn’t it beautiful? 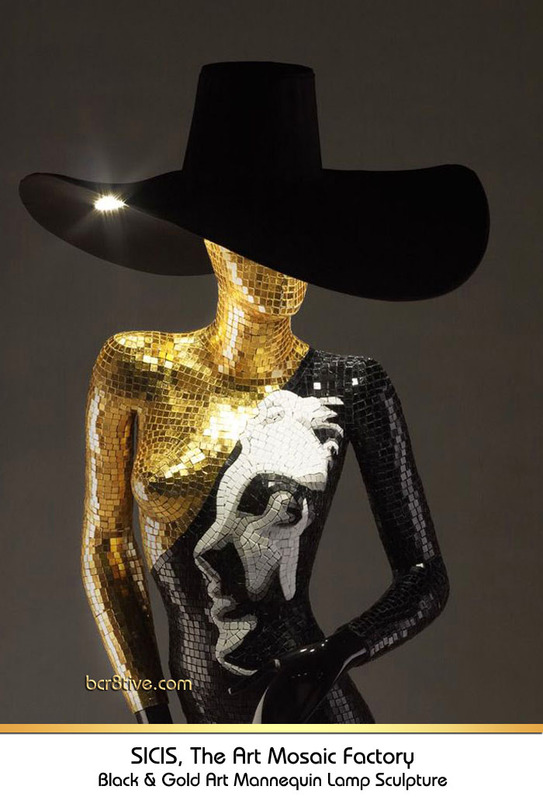 The next 3 images are Sicis Mannequin Lamp Sculptures in Black & Gold Mosaic Tile. 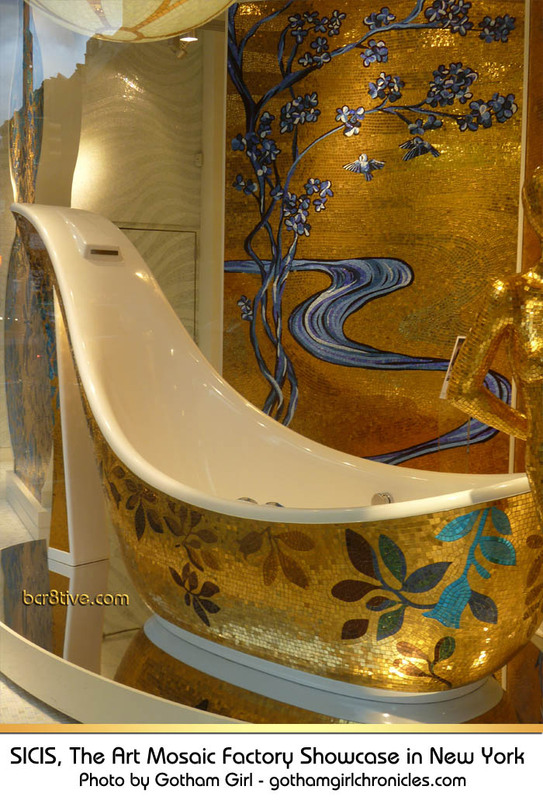 This last image is a display from the Sicis stand in Venezia Airport by Elisabetta. 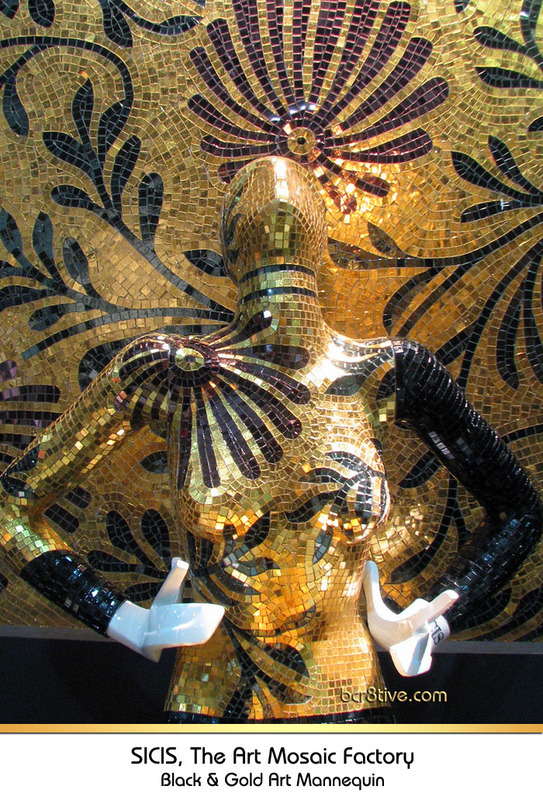 2 Responses to "Golden Tile Work from Mosaic Tile Masters – Sicis The Art Factory"
Talk about Extreme Talent! Wow…..Spectacular! Cheers! Oh my! This post is truly amazing! What a perfect work of art!